Though this photo of the Saluda River was shot in Lexington County, the river begins in the northwest portion of Greenville County and continues through the state until it joins with the Broad River in Columbia. The confluence of these two rivers forms the Congaree River. The Three Rivers Greenway in Columbia is a beautiful and accessible way to view the merging of these rivers. 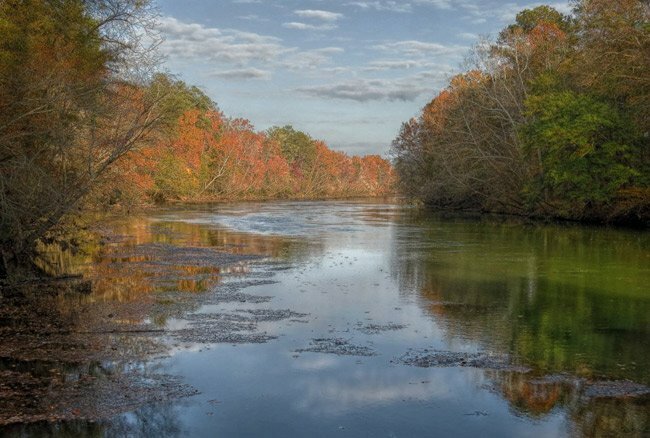 On May 31, 1991, the South Carolina Legislature designated a 10-mile segment of the Saluda River as a State Scenic River. The Scenic portion begins one mile below the Lake Murray dam – near where this photo was taken – and continues to its confluence with the Broad River. 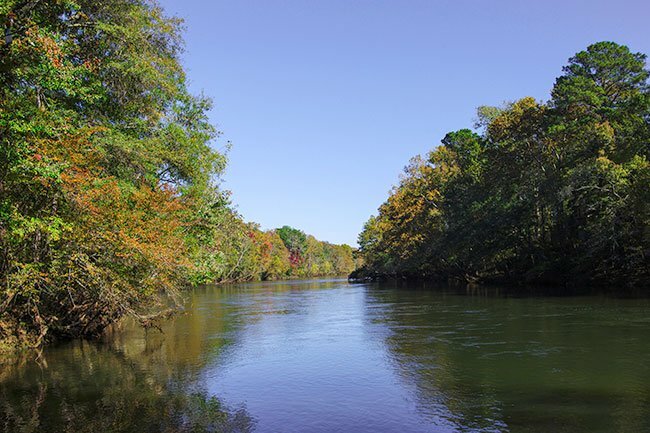 The State Scenic River designation helps protect and conserve river corridors through the volunteer efforts of community members working in conjunction with the South Carolina Department of Natural Resources. 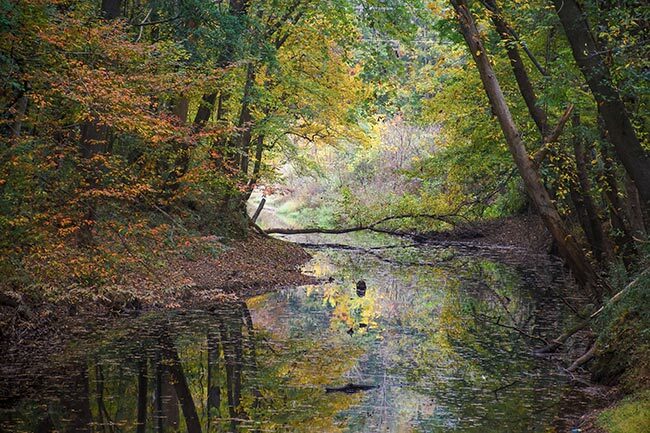 The river is named for the Indian tribe that once settled along its banks in the upper and middle parts of the state.